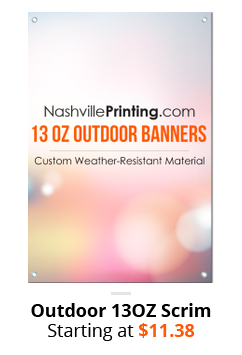 Indoor & outdoor banners at a price you can't beat. 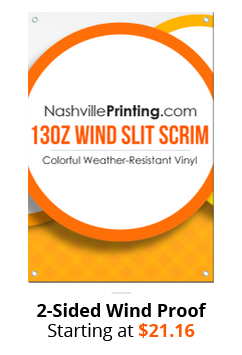 There’s no better way to celebrate or advertise than with resilient, high-quality, outdoor vinyl banners from NashvillePrinting.com! 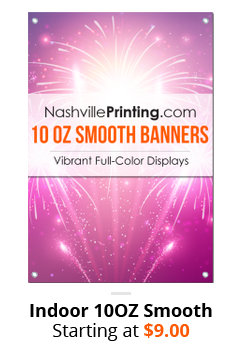 Our vivid full-color banners are printed directly on durable UV-resistant vinyl, guaranteeing your image will not fade, peel or crack before its time. 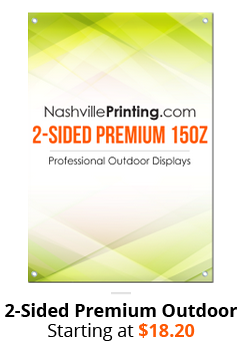 Outdoor banners are designed beautifully to display your image or one designed by our team for you and built to last. 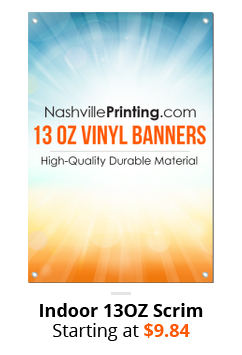 The banners are made of 13 oz or 15 oz scrim vinyl and hemmed along the edge for strength while hanging. 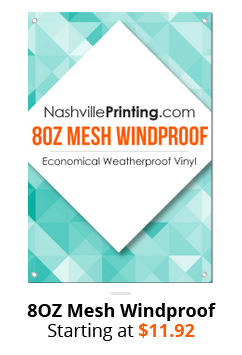 Slits are cut into the banner to allow the passage of air and ensure the banners’ ability to withstand the elements. 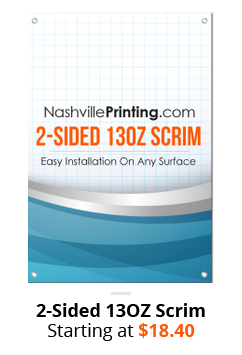 These heavy-duty banners are built to last without compromising quality and will captivate onlookers for a long time to come. 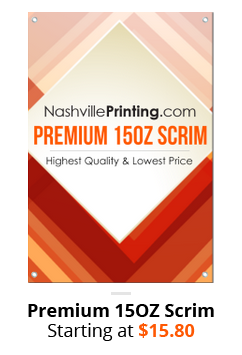 You can order your banner confidently, knowing that Nashville Printing puts your satisfaction first, offering a 100% satisfaction guarantee. If you are not completely satisfied because of something on our end, we will replace or refund the order absolutely free. It’s that simple.